Believe Dream Create with Maria: Red Hats for Everyone! 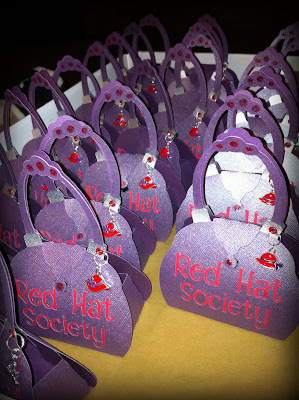 My mom's Red Hat Luncheon, that I did the invitations for a few weeks ago, is coming up at the end of September. These are the favors for the ladies at the luncheon. I created the purse on the Gypsy and added some Red Hat charms I found on Ebay. I hung them by first setting an eyelet, which I haven't done in YEARS! WOW, I wish they would have had a Crop-a-dile back when I started scrapbooking over 10 years ago. Oh...the pounding I would have saved, LOL! I might just have to make a revival of the eyelet! 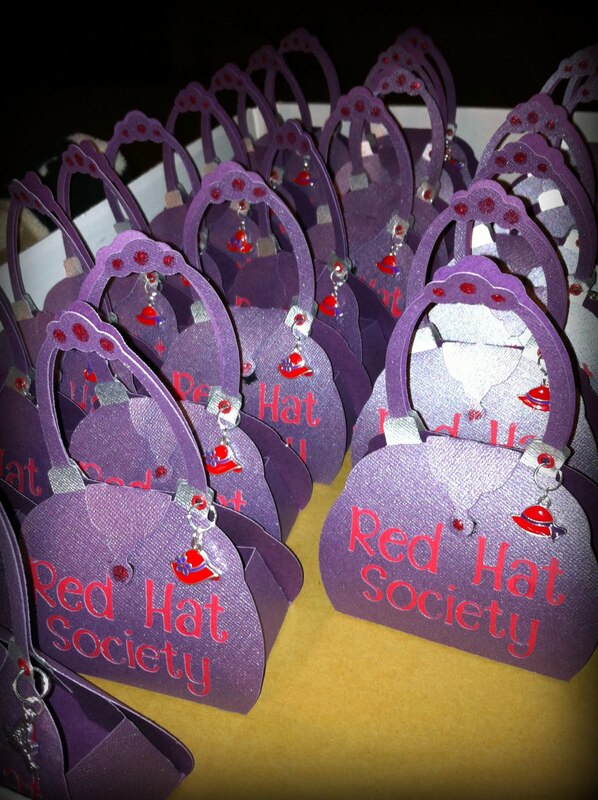 I The purses will have a Red Hat Pin inside similar to the Red Hat I made on the invitation and of course, some chocolate. I finished 30 but have 15 more to go. My Cricut and Gypsy rebelled on me and said ENOUGH! It has been working constantly all week and this just pushed them over the edge. Sometimes you just have to know when to take a step away from the Cricut!